One of my pet peeves these days is when friction is introduced into a system and slow things down. Most of the time we don't notice friction, because they have become second nature to us and we think it's just the way things are. But, when you take a second to review the individual steps within an interaction, you realize that many things can be optimized and made better for yourself and your patient. Now, I'm not saying to go out and over optimize every interaction. Sometimes friction in a system is a good thing and slowing things down can help situations. But, many times, friction in a system is counterproductive to the goal and can hinder progress. Let's look at a common scenario for many acupuncturists, the appointment scheduling phone call. Acupuncturist: Hello, you've reached Authentic Acupuncture! Patient: Hi, is this Jane? Acupuncturist: Yes, it is. Who am I speaking to? Acupuncturist: Hi John. How are you today? Patient: I'm wonderful. How are you? Patient: That's great to hear! Acupuncturist: How can I help you today, John? Patient: I'm having some upper back pain and I'd love to come in. Acupuncturist: I'm sorry to hear that, but we can get you in to take a look. What day are you interested in coming in? Acupuncturist: Great. Morning or Afternoon? Acupuncturist: Can you come in at 1pm? Acupuncturist: How does 3pm work for you? Acupuncturist: Wonderful. I've got you down for Wednesday at 3pm. Anything else I can help you with? Acupuncturist: Great. See you on Wednesday. Have a great day! While many will look at this interaction as a perfectly fine example of scheduling an appointment. To those who do a lot of appointment scheduling, this can be painful. The inefficiencies of this interaction becomes especially pronounced when interacted through email. As a business owner and healthcare professional, one of your jobs is to make the patient experience as simple and pleasant as possible. So what might a better interaction look like? Let's take a look. Acupuncturist: Hello. Thank you for calling Authentic Acupuncture. This is Jane. How can I help you? Patient: Hi, Jane. This is John. I'm having some upper back pain and I'd love to come in. Acupuncturist: I'm sorry to hear that, John, but we can get you in to take a look. At the earliest, I can get you in on Wednesday at 1pm or 3pm. Will one of those times work for you? See how we've been able to combine steps and interactions to reduce friction and create a more pleasant patient experience? Also, note that we're not rushing the patient. We're still giving the same attention and care, only in a more compact and efficient way. Why is all this important? The quicker you can complete your goals with the least amount of friction, the more pleasant it will be on you and your patients. The more money you can make. 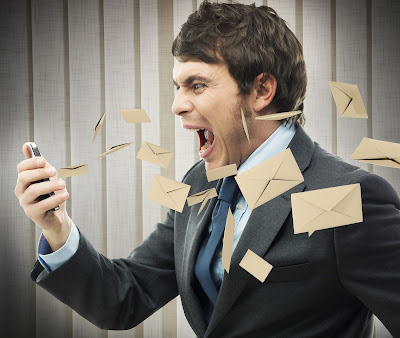 In my own experience, I've had appointments fall apart because of the back and forth of emails. Due to this, I've learned to decrease the number of interactions to a minimum. You may have experienced something similar in your practice. Your goal as a business and healthcare professional is to get people in the door to help them, not to be exchanging emails or talking on the phone. But, don't over optimize and make your interactions less human! A better patient experience will lead to better patient outcomes!